Alver Hotel has a unique historical location in the village of Alversund, 30 kilometers north of Norway second largest city, Bergen. 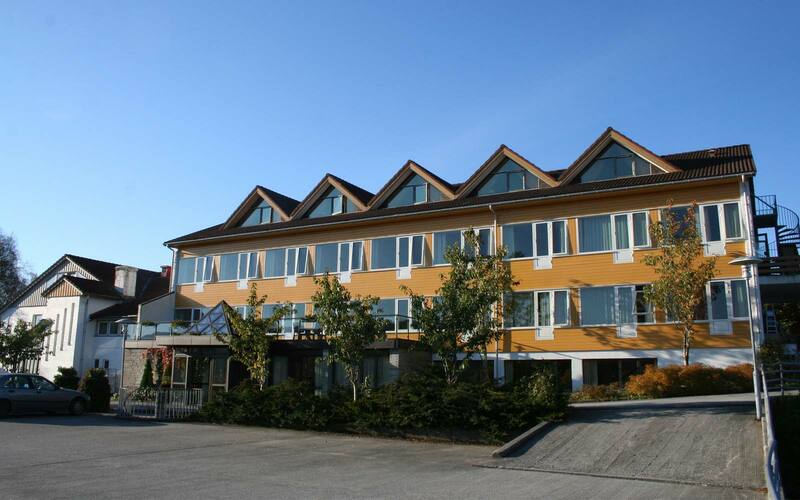 The hotel was built in 1959 on the remnants of the farm where Amalie Skram (1846-1905), one of Norway’s most renowned female authors, spent parts of her childhood. Agricultural activities have always played an important role in the Alver landscape, and still to this day, there are a number of farms operating in the area. There is also a deer farm operating just nearby, and tame animals can be seen grazing in the hills nearby the hotel. Alver Hotel has been a family run business for three generations since it was first established in 1959, and is currently managed by Runar and Heidi Hilland.